John H. Dover Memorial Park is the culmination of the vision and philanthropy of Jim and Virginia Sindelar, local ranchers, who donated 142 acres of their creek-bottom and pasture land to YRPA for development into a public park. The Sindelar family ranched the property for three generations after it was homesteaded by their patriarch, John H. Dover, in 1884. 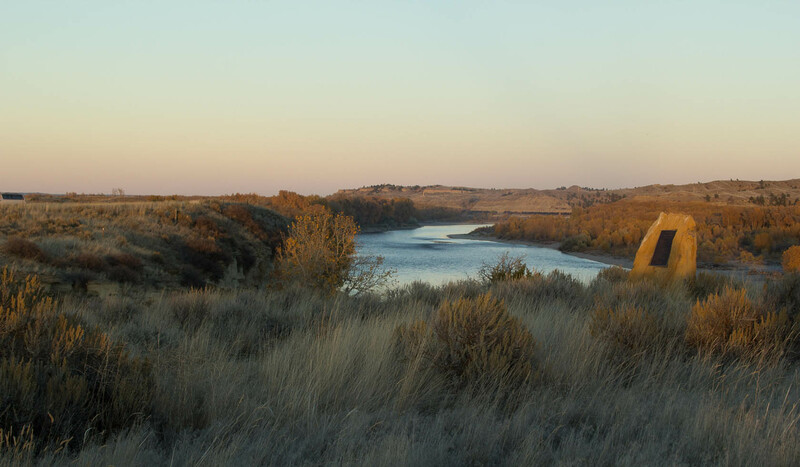 It includes nearly a mile of riverfront, more than 3 miles of primitive trails for walkers, runners and mountain bikers, and affords spectacular views of the Yellowstone River and Five Mile Creek bottoms. A short hike to the River provides superb fishing. A vault toilet and picnic facilities are available at the trail-head, which is beyond the lower gate, marked 3W. There is no admission fee, but donations to YRPA are appreciated. YRPA is still all-volunteer. John H. Dover Memorial Park is at the conjunction of Mary St. and Five Mile Rd. in Billings Heights.John H. Dover Memorial Park is at the conjunction of Mary St. and Five Mile Rd. in Billings Heights.